There’s been a revival of interest in recent years in the distinctive history and character of London’s individual local areas and their history as separate towns and villages. Before the sprawl of the 20th century, our inner urban areas were more tightly defined, and beyond the city centre conurbations were made up of a cluster of distinctive parts with their own character and industrial and commercial roles. Sadly, a lot of the individuality and distinctiveness has now been lost or hidden but if you look hard there are still a number of places with original features and character, and a community spirit to match. 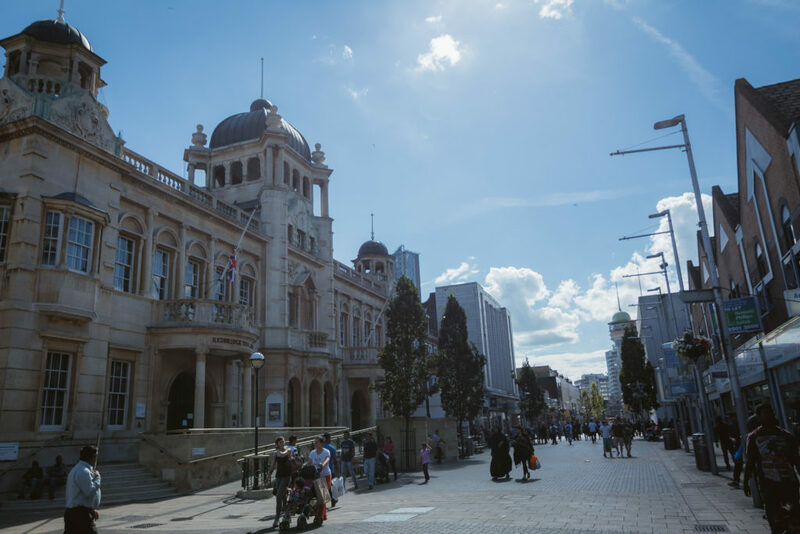 The Discover Your High Street project has explored and celebrated some of the capital’s town centres, and how you can enjoy them as a resident, business or tourist. So Discover Britain’s Towns took advantage of the excellent material unearthed, and has added entries about the places covered on this website. 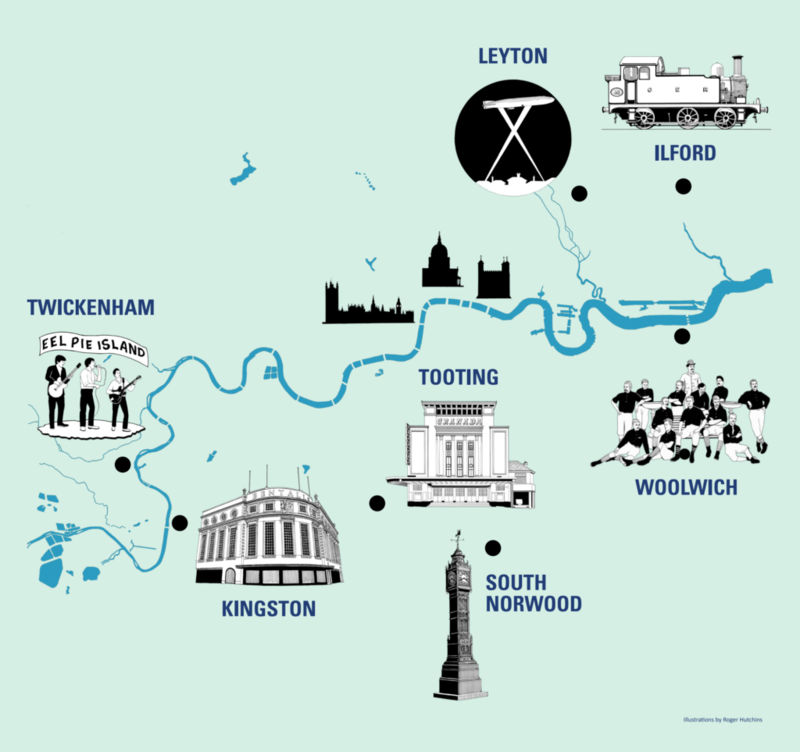 The book focuses on the seven outer London Boroughs of Ilford, Kingston, Leyton, South Norwood, Tooting, Twickenham and Woolwich – uniting the boroughs through their shared heritage and society. We decided to explore the towns, and look at what’s unique about them. Kingston was first recorded in a Royal Charter in 838. Relics from its history remain – it is home to Clattern Bridge (London’s oldest bridge). It has held a weekly market since the 13th century, which is still active today, and seven Saxon Kings are thought to have been crowned here. Eadweard Muybridge, the pioneering photographer, was born and died in Kingston. Kingston Museum devotes a gallery to him – it is replete with items from his personal collection, including over 2000 glass magic lantern slides. The Rose Theatre brings further artistic excellence, with the late Sir Peter Hall as founding director. The Rose has produced a number of homegrown productions; some directed by Hall, and Kingston University holds its graduation ceremony there. 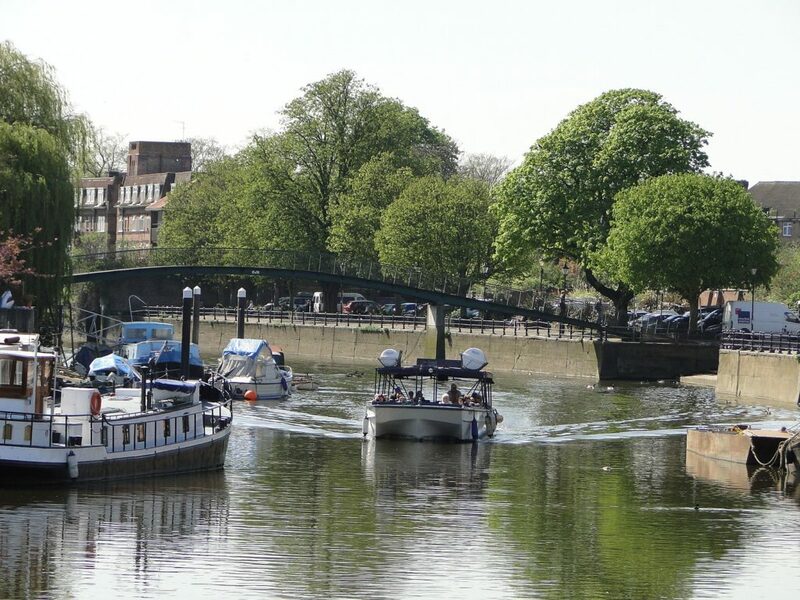 Kingston Walking Tours take visitors on journeys through Kingston’s rich and colourful history: from royalty to Nipper, the HMV dog! Each Sunday at 11am (April to September) and 11am on the first Sunday of the month (October to March). It’s also home to Coombe Conduit – which, for 350 years, collected water from springs, and channeled it to Hampton Court Palace. 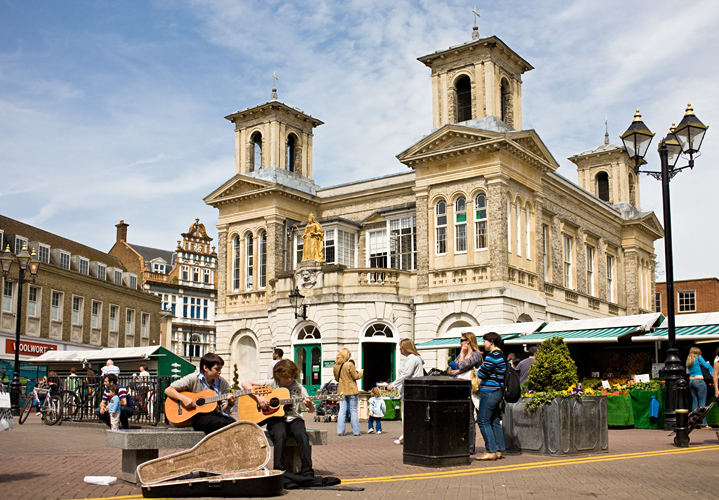 Visit https://www.inkingston.co.uk for more information. 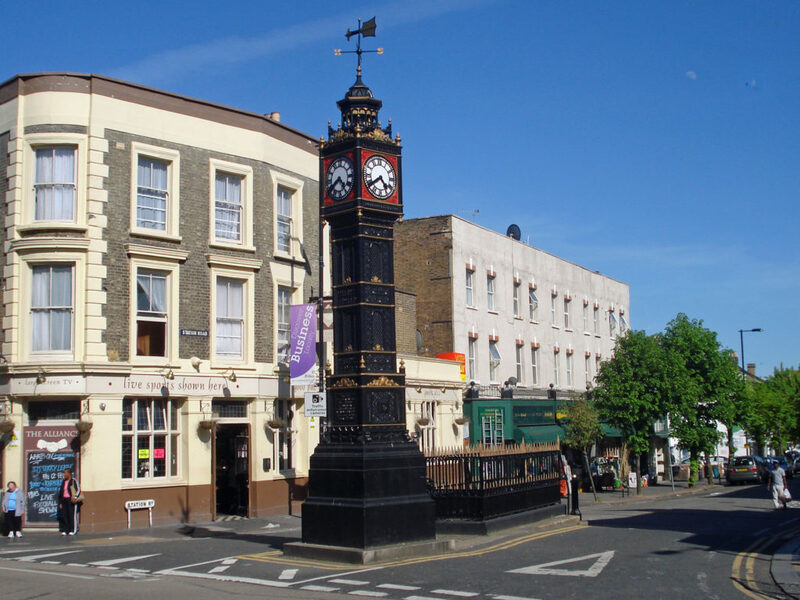 Leyton was recorded in the Domesday Book in 1086 as having a population of 43. Today, it is over 14,000. It is the home to Leyton Orient FC, who play in the National League, and the Brisbane Road stadium. 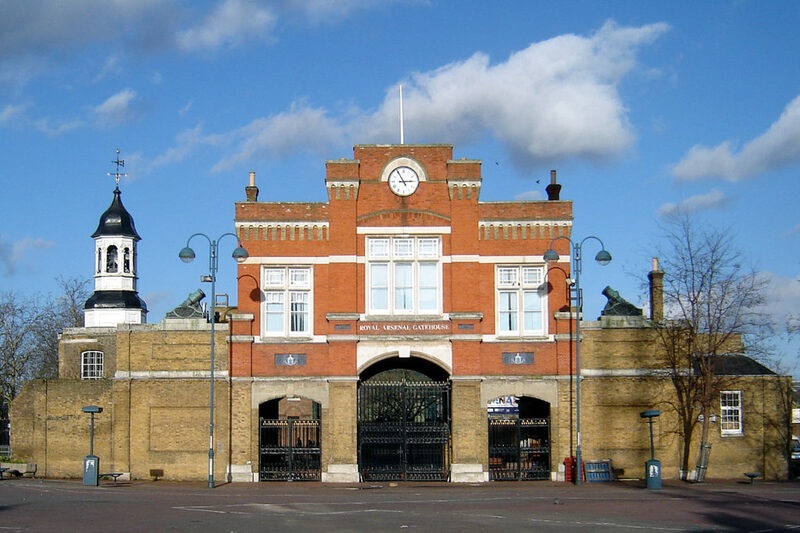 It also holds Leyton Cricket Ground, and the wooden pavilion building stands as a Grade II listed building. 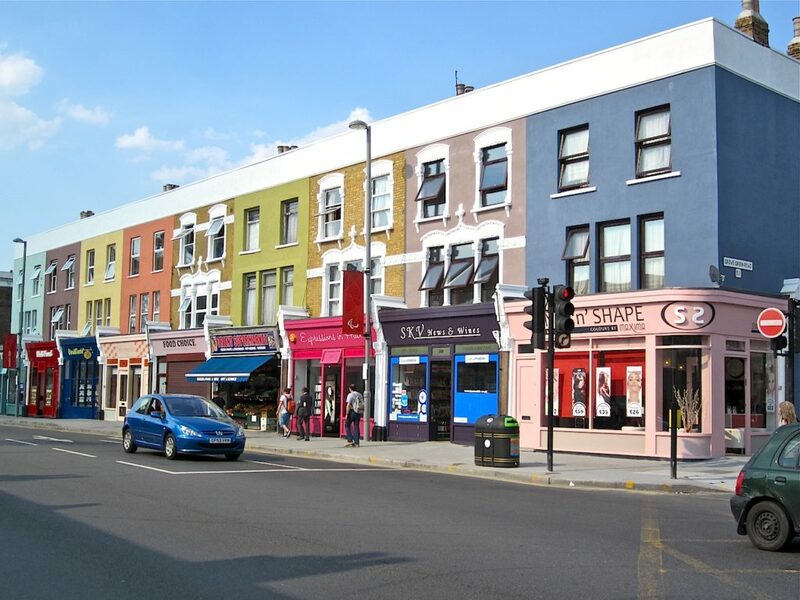 The 2012 London Olympics has encouraged investment in Leyton: the Olympics authority and the Working Neighbourhoods fund regenerated the facades of 41 shops on the High Road. They renovated traditional features to create an eye-catching parade of shops, designed to attract locals and tourists alike. The Coronation Gardens on Buckingham Road opened in 1903, on the crowning of King Edward VII. The park became a popular venue for events and concerts, and has undergone restoration works in c.2000. It remains a popular site for community events throughout the year – including Leyton Carnival and Coronation Gardens Festival. Tooting developed during the late Victorian period. It remains a vibrant community, but with exciting things to do and see! Tooting Bec Lido is the largest pool in the UK by surface area. It sits on Tooting Bec Common, between Tooting and Streatham. At 91.5 metres, it is almost twice the length of an Olympic-size pool. In 2017 a new Pavilion building was constructed – which works as a sports hall all-year-round. Broadway Market and Tooting Market are famous indoor markets, and offer a diverse selection of street cuisines, coffee shops, clothes, records and books. They are open 7 days a week (except public holidays), and both are within a stone’s throw of one another. 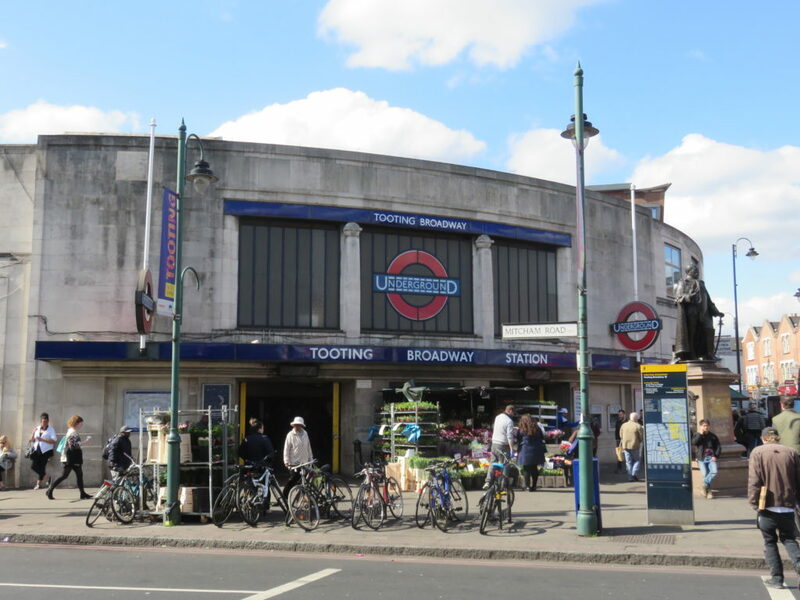 It is also known as the setting for the comedy series Citizen Smith, which followed the fictional socialist organisation the Tooting Popular Front. The Granada Cinema was a classic Art Deco cinema of the 1930s, and developed into an important venue: hosting Jerry Lee Lewis, Frank Sinatra and The Beatles. In May 1991 it was acquired by Gala Bingo, and became the Gala Bingo Club Tooting, and is now a Grade I listed building. It is one of three former cinemas in the UK to possess such status. Twickenham sits in the borough of Richmond. It is, of course, famous for being home to the world’s largest rugby stadium. But it also has a rich history – for example, the historic riverside area is replete with 18th-century buildings and pleasure grounds. It is home to Strawberry Hill House, which was erected as a modest house in 1698 and then transformed into a ‘little Gothic Castle’ by England’s first Prime Minister Horace Walpole. The house is now open to the public as an extraordinary fairytale experience. The Eel Pie Island Hotel opened in 1830. It is mentioned by Charles Dickens in Nicholas Nickleby, and was accessible by boat alone. In the late 1950’s the venue became an increasingly popular jazz venue. In the 1960’s it hosted The Rolling Stones, and went on to feature Rod Stewart, The Who and David Bowie. The Hotel was mysteriously burned down in 1971, although the island can still be visited. Twickenham is also where Sandycombe Lodge was built in 1813, to the designs of J.M.W. Turner. He desired to create a retreat for himself, away from the London art world. Now, visitors can visit a recreation of Turner’s quiet space, which is full of rich stories, etchings, as well as digital technology that brings back the views of Turner’s time there. Church Street is the oldest street in Twickenham. Amongst its historic architecture is a wealth of independent shopping options: gift shops, a pet boutique, butchers, a vinyl shop and much more. Ilford in east London was historically a small rural settlement. It expanded significantly with the arrival of the railway in 1839 and became a municipal borough in 1926. Since 1965 it has been part of Greater London. In its centre is an impressive Victorian Town Hall. The main hall was originally the Council Chamber – and is now a popular venue for various events. Ilford is also home to Valentines Mansion & Gardens – which was built in around 1696 for Elizabeth Tillotson and her family, following the death of her husband, the Archbishop of Canterbury. It has changed hands many times since then, and has been put to a range of uses: home to wartime refugees, a hospital and a council housing department. Today, it is a thriving hub with a focus upon heritage, arts and crafts and family-focused activities. These historical gems sit amidst modern shopping opportunities – such as the Exchange. Built in the 1990’s, it holds a variety of high street names, and gives tourists a range of options. South Norwood is located within the London Borough of Croydon. South Norwood Country Park is one of the most popular bird watching sites in south London. More open space comes in the form of South Norwood Lake and Grounds. The Lake was originally created as a reservoir for the Croydon canal – which ran between Croydon and the Grand Surrey Canal at New Cross from 1809 to 1836. Now, local anglers, and Croydon Sailing Club use it. Stanley Halls is an arts venue in South Norwood. It is a complex of Edwardian buildings that were built between 1904 to 1911, and comprises an art gallery theatre hall and assembly rooms. It was donated by William Ford Robinson Stanley (a prominent local industrialist and philanthropist), and has recently come under community management. South Norwood also has is own independent cinema – Screen25. Run by volunteers, it couples innovative film programming with a range of events and activities to engage the local community. To find out more about the Discover Your High Street publication, click here.